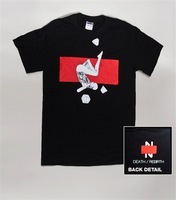 Limited edition t-shirt design available exclusively at Blip Festival New York 2012. Another entry in the series of collaborations between Nullsleep and Videogramo. 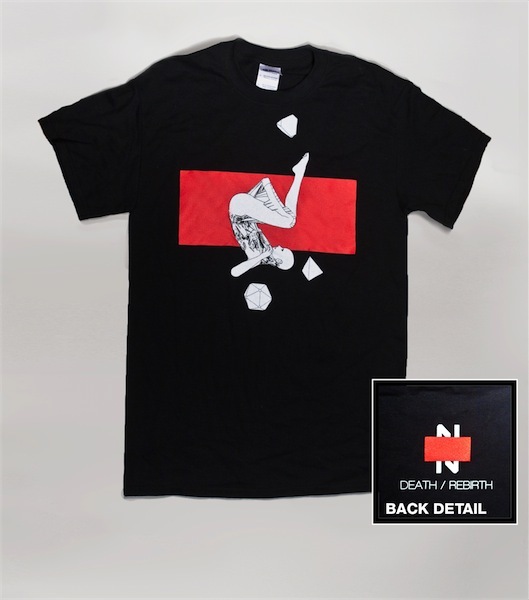 The front print features a female figure interacting with platonic solids, back print features N logo with the text, "DEATH / REBIRTH" - only 25 produced.